Make topping mix as directed on package using milk and vanilla; add powdered sugar and 2 teaspoons cocoa for the last minute of beating. Not able to make the mocha topping? Simply use frozen (thawed) whipped topping instead. It won’t pack a chocolate punch, but the color will make an interesting contrast to the cake and candy sprinkles. 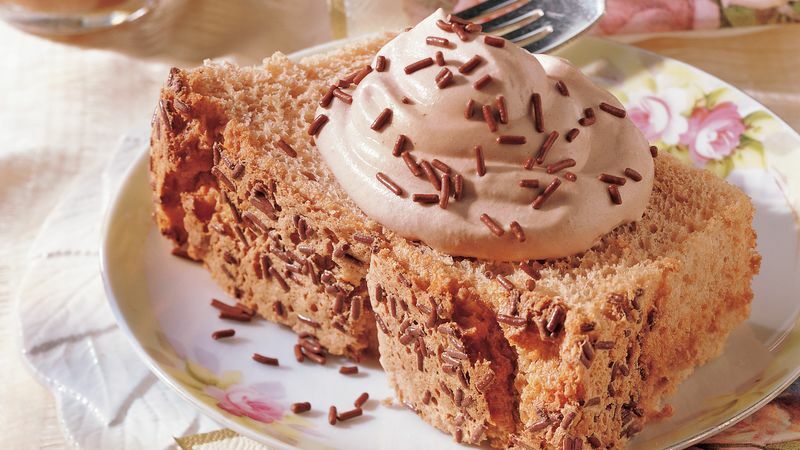 A traditional angel food (tube) cake pan will also work with this recipe; just follow the package directions for the pan selected.